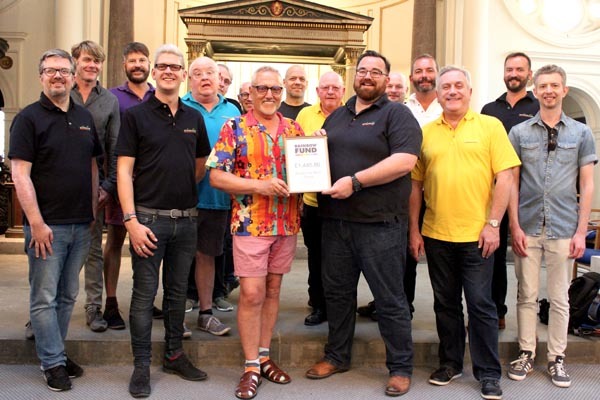 Alan Baser, Chair of Actually CIC, and members of Actually Gay Men’s Chorus (Actually GMC) receive a certificate of appreciation from Chris Gull, Chair of The Rainbow Fund. THE Rainbow Fund was Actually GMC members’ chosen charity for 2017 – and the chorus were thrilled to present The Rainbow Fund with £1,445.80 following fundraising and proceeds from their 2017 concerts: Let It Snow!, Bring On The Men!, and Love Actually. 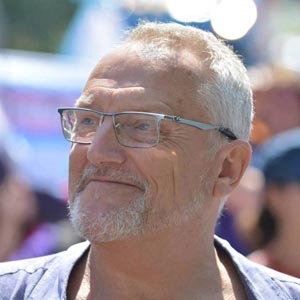 The Rainbow Fund is a Brighton and Hove based grant giving fund for local LGBT/HIV organisations and charities and makes grants through their independent grants round to LGBT/HIV organisations who provide effective front line services to LGBT+ people in the city. Since its creation, Actually GMC has raised thousands of pounds for local charities. ActuallyGMC always welcomes new members and volunteers to join their musical family. Rehearsals take place on Thursdays at St Andrew’s Church in Waterloo Street, Hove from 7.45pm. Actually GMC’s Pride celebration concert, True Colours, will be held on Friday, August 3, also at St Andrews Church. Tickets are available to purchase now at £15 (£13 concessions) via actuallygmc.org. The choirs chosen charity for 2018 is The Sussex Beacon.